On Wednesday, October 29th, SIA headquarters was alerted by a region outside of the U.S. that the laws and resolutions mail ballots, which left our headquarters in Philadelphia on Friday, October 3, 2014, had not yet been received by their clubs. Upon further investigation it was determined that all mail ballots sent to all of our clubs outside of the U.S. had never left the international mail house in the U.S. The problem was identified and resolved, and the mail ballots were promptly sent airmail the same day, October 29, 2014. 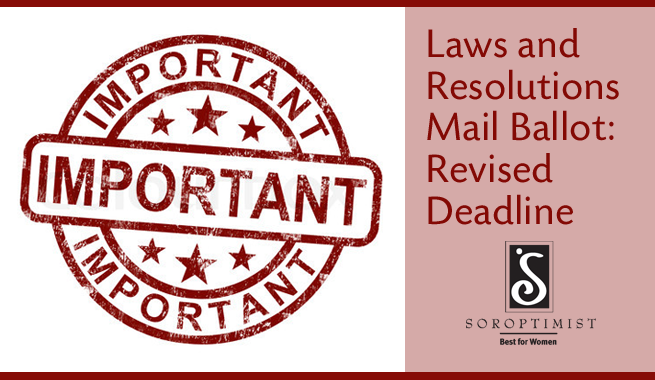 Unfortunately, this delay caused a problem in our compliance with SIA bylaws Section 12.03 requiring 60 days between the mailing of the ballot and the date of return. More importantly, our clubs in 19 of our 20 countries and territories would have less time to meet and consider the many important bylaw changes contained in the ballot. Therefore, your board of directors called an emergency meeting during which they approved an extended date of return for the laws and resolutions ballots from all clubs. The new due date for receipt of completed mail ballots is now January 6, 2015. As announced in October, headquarters will move all club addresses to Microsoft’s cloud-based Office 365 system on December 15. This new system will make administering the club email system easier for clubs and for headquarters. Instructions on how to export address books and other materials on club email accounts are now available on the SIA website. Beginning in mid-November, all clubs will receive individualized information on how to access the new club email system. This information will be sent to the club email address, and the personal email addresses of the club president and club treasurer. In the meantime, please contact headquarters for assistance if your club is having any difficulties using the current system. Domestic Violence Awareness Month may be over, but our partnership with PetBox is not. PetBox have decided to extend the campaign for a couple more weeks. 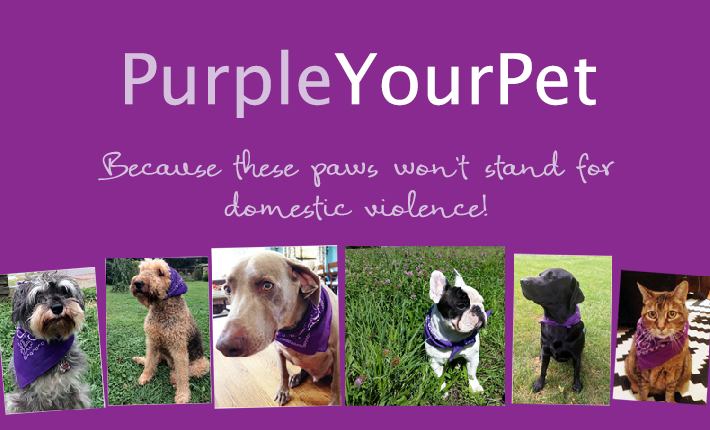 Together, we will join our furry friends and continue to fight domestic violence! Thank you to everyone who purchased a PetBox during our #PurpleYourPet campaign so far. If you’d like to spoil your pet with delicious treats and support domestic violence victims at the same time, get a Petbox for a cat or dog at getpetbox.com/purple. PetBox will donate $1 to Soroptimist/LiveYourDream.org for every box to support our programs. Please promote the Live Your Dream art contest! Club resources are on the SIA website in all languages. English-speaking participants can go directly to LiveYourDream.org for the contest rules and entry form. The deadline is December 31. Voting will occur on the LiveYourDream.org Facebook page in February. Winners will receive prizes featuring their winning artwork. The new November 15 deadline for Live Your Dream Award applications is approaching. If your club hasn’t received any applications, please contact your region chair. Has your club started planning yet? Use the Club Planning Toolkit to help prepare for a local-level Dream It, Be It project. For the second year, SIA will support President Ann Garvie’s President’s Appeal by supporting local-club projects focused on education and leadership for women and girls. Donations for the appeal can be sent to SIA headquarters. Applications for grants are due March 12. Each year, SIA measures the impact of federation programs. The Live Your Dream Award and Violet Richardson Award reports are now available. On December 2, people around the world will come together for #GivingTuesday, a global day dedicated to giving back. SIA is proud to be one of the thousands of organizations participating this year, and we hope you’ll take part, too, by making a gift to help empower women and girls. Watch the video below to learn more about the idea behind #GivingTuesday. Don’t forget to spread the word to your friends and family, and stay tuned for more information about this year’s #GivingTuesday. Planned giving allows you to make a donation to SIA that doesn’t cost you anything now, but ensures good stewardship of your assets and continues to change the lives of women and girls beyond your lifetime. It’s a gift that will help women across the world escape from poverty and abuse and create better lives for themselves and their families. 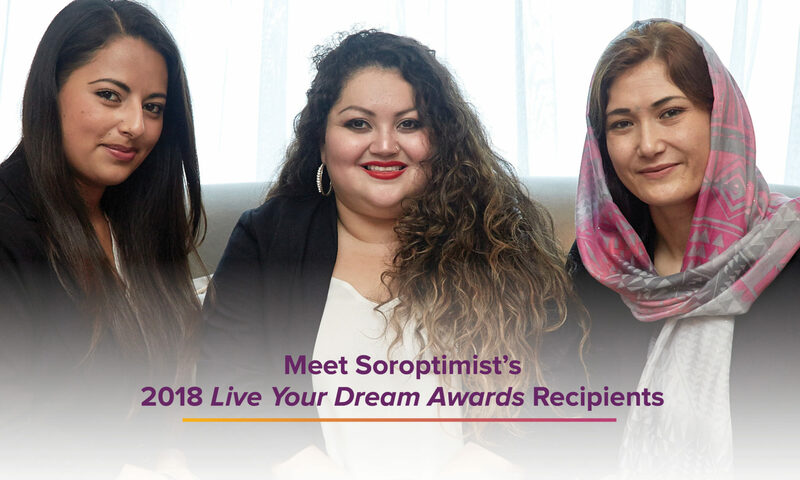 Soroptimist offers several ways for you to give while securing your family’s financial future. To learn more, please visit soroptimist.plannedgiving.org. Got a Problem? Don’t Delay, Address the Issue ASAP! With a membership of 32,000+ representing 20 countries and territories, SIA’s members are diverse! Diversity means difference and any time you introduce something different into a group, the dynamics and the patterns of behavior in that group change and conflict can arise. Conflicts in clubs can lead to anxiety and stress, not only for those involved, but it can trickle over into the entire membership and adversely affect the club’s atmosphere. Check out this article for tips to help address conflict and come to a solution! Share some joy this holiday season while supporting Soroptimist’s life-changing programs. The holiday dream greeting cards spread a unique message of holiday cheer with family and friends. Sold in packs of 10 (5 of each style), shrink wrapped with 10 white envelopes for $12 per pack. The dream ornament/gift tag offers a new gift with the change of seasons. Embedded with wildflower seeds, it can be planted directly into the ground after spring arrives. Measuring 3.25 inches with a natural raffia tie for $4 each. These limited edition items won’t last long so order yours today!